Across the far reaches of the Lotus Galaxy, a civil war is waged by massive machines piloted by skilled warriors. 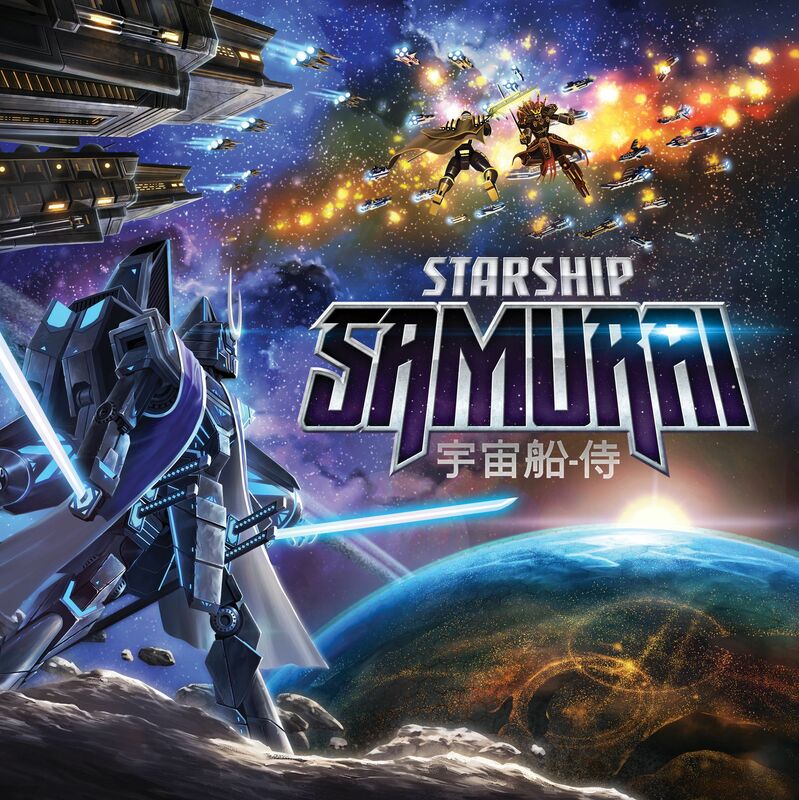 Take your place as daimyo of one of the major clans and fight for your right to the title of Galactic Emperor in Starship Samurai, an epic new game of warring clans for two to four players. In this war, you must use diplomacy to bring honor to your clan, earn the support of the lesser clans, and cement your claim to the throne. But when negotiation is not enough, you can launch massive fleets or deploy the most fearsome weapons the galaxy has ever known — the terrifying Samurai Mechs — to crush your enemies and seize key locations. Exert your influence and bring order out of chaos! Wenst u het gezelschapsspel "Starship Samurai" aan te kopen?